Make windows 7 genuine for the life time. This is an alternative chance for us to activate your windows 7 without using any activation key. 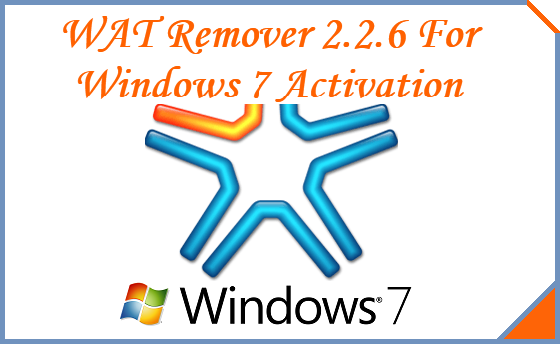 Today I do like to give you this nice tool that will help to get activate windows 7 which won't ever require any further activation. We see that when we install Microsoft Windows 7 there it's must be needed to activate this OS. Most of the people don't have that ability to buy that serial key or don't want to buy. In this case, what can we do? Yes, here is a solution. Although, people love to use update windows version. But there still have a massive amount of users who really like win 7 very much than the newer one. Even I also use Windows Seven. Now you can use this windows with life time activation. You may faces lots problem while activating your OS. Its like fake serial keys or activated by any cracks, but after 30 days its showing notification that your windows need to activate and tells you "ask for genuine windows". I know it feel really bad for free users. For those user I am giving a tool which will let your windows life time activation and won't ever show any notifications. 1. 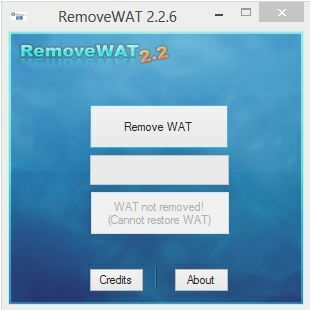 First go to bellow link and download WAT Remover 2.2.6. 2. Now if you have newly installed windows or 30 trials going to be finish then you have to use this tools. Downloaded file will be in zip. Extract this zip and open RemoveWAT. An interface will come with a button name Remove WAT. 3. Click on Remove WAT button and wait for few moment. Then it will ask you for restart you PC and by clicking on OK make your PC restart done. After successfully restart your PC its done and it will never ask for activation your windows. Its actually alternative of activating windows 7 without having any problem. You can check you properties to see that your activation notification are not showing there. This tools worked on Windows 7 perfectly. For other I never tried so its only recommended for Win Seven. I hope it will work for your PC also. After following above instructions if not works for you or if you guys face any problem then let me know by commenting bellow. Thanks for being patience in here and don't forget to share with your close friends so that they can be helped by you also. I am Ismail Hossain, Founder of Info Tech Tips. I love blogging and playing online games. Tech is my favorite part to right on my blog. Always do SEO for my website and share tips and tricks about SEO on my blog. Thanks for share this file. It works for me good. How to Fix NFS Most Wanted Lan Problem Online and Offline? How to Earn Money by Uploading Files without Survey ? Earn Money from Propeller Ads Media with Payment Proof. How to Enable My Computer Icon in Windows 7, 8, 10 ? How to setup namecheap domain to blogger?